ur aim is to make gardening simpler and, hopefully, more enjoyable. If you want to relax and enjoy your garden, and not let it become a chore, then leave it to us because we know what the main tasks are and when they need to be done. 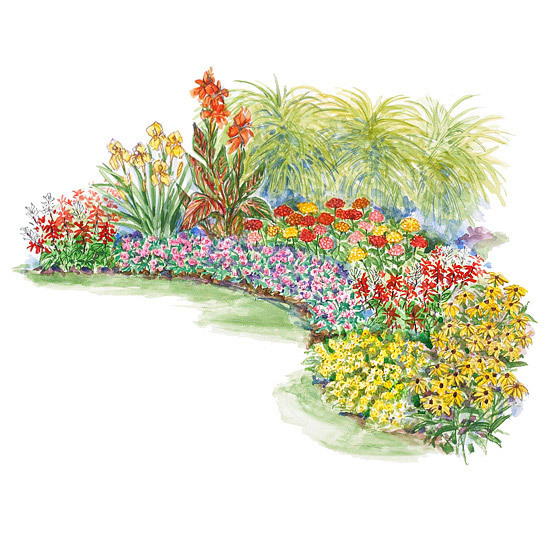 This means careful planning and organisation are necessary to enable you to enjoy your garden to the fullest extent, ensuring that it will always be at its best, any time of year. Gardening is governed by the seasons, and timing tasks correctly for the climate and soil is key. Pullar Horticulture offers expert guidance and a ‘game plan for all seasons’. Kick start spring with garden tidying, pruning, planting and sowing. We also offer pressure washing to remove the dirt and grime caused by the winter weather and ensure paths, decking, paving and patios are slip-free and ready for the summer. Summer sees the focus on grass cutting, garden maintenance and hard and soft landscaping as the weather improves and the days become longer. It’s also a good time to treat and paint sheds, fences and garden furniture. And, annuals and bedding plants are favourites, for filling spaces in the borders and providing colour right up to the winter frosts. Autumn is the ideal time for hedge cutting, composting and garden tidying and dibbing in the bulbs to provide a show of bright spring flowers in the year ahead. Winter is the season of recovery and preparation. It’s the perfect time to indulge in some garden design, while nature is quiet. It may also be about snow removal and winter gritting, which Pullar Horticulture is pleased to provide. Spring is the favorite season of most gardeners, and it’s also easy to get overwhelmed because there’s so much to do. Remember to slow down and enjoy the process of getting your hands dirty and watching tiny seeds germinate and become plants! Here, at Pullar Horticulture we can help the season go as smoothly as possible. Summer is the time to sit back and admire all the hard work you’ve put into your garden. But the work doesn’t stop there — your garden still needs regular watering, deadheading, pest management, and maintenance. We can round up some or all the summer gardening tasks for you, so you can just sit back and relax. Fall is a season of transition: It’s a time to celebrate a bountiful, colorful harvest and still make time to clean up the garden and tuck things away before winter’s cold arrives. Fall also offers a window of opportunity to plant some crops. We have seasonal techniques as well as plants that you’ll find valuable when you’re on the go into your garden this fall. Winter is often the slowest season for gardeners, but there are still plenty of gardening-related things to do to keep your green thumb happy. From forcing branches indoors to browsing seed catalogs and planning your next garden to pampering houseplants or creating a terrarium to taking care of the birds.